You guessed it! sugar and spice and all things nice. 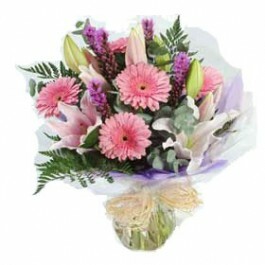 This lovely bouquet features gorgeous hot pink and purple blooms against a background of cool green foliage.